Dungeon Travelers 2 – Where uncomfortable anime innuendo meets rock-hard JRPG mechanics. Atlus has been at the forefront of bringing bizarre—albeit solid—Japanese games to the American market for years. Their undying commitment to the entirety of the Shin Megami Tensei series is proof enough. So it would make sense that Atlus and Aquaplus would team up to bring the sequel of the (previously Japan-exclusive) romantic-first-person-dungeon-crawling-JRPG—To Heart 2: Dungeon Travelers— Dungeon Travelers 2, stateside. It’s the year 395 in the God’s Era. The underworld deity, Demon God, rules the Kingdom of Romulea. Under the leadership of the holy maiden Vitoria, humanity banded together to fight the Demon God and her monster army. While the struggle proved useless, Vitoria’s royal alchemist Siegdrad created Sealbooks—magical tomes used to seal the Demon God and her monster army away in the Royal Library—ending the God’s Era and beginning the King’s Era. 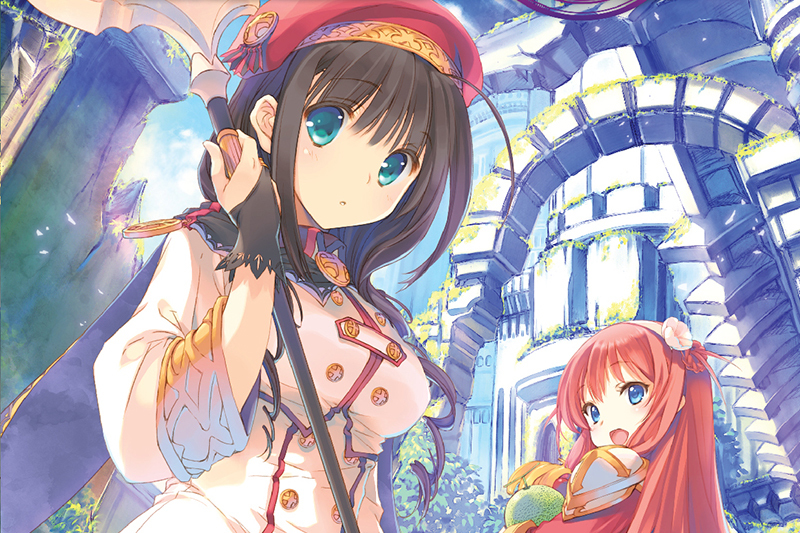 Dungeon Travelers 2 picks up 104 years after these events, and things are all but stable in the Royal Library. 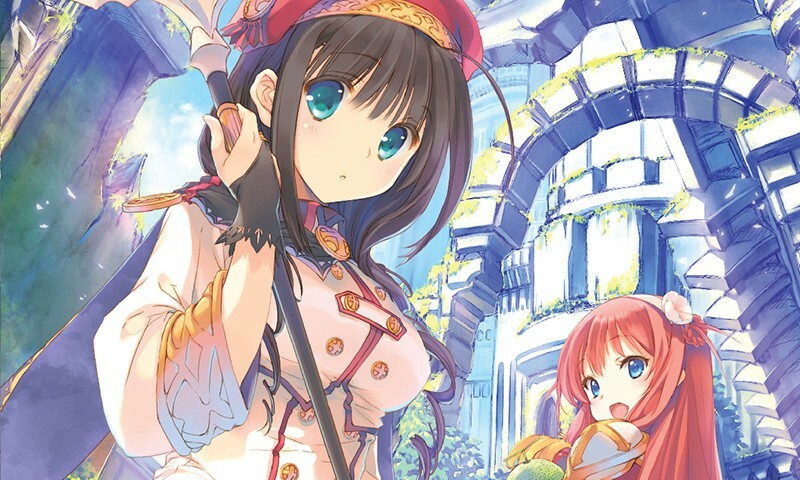 The story of Dungeon Travelers 2 follows Fried Einhard, a Librarian (or Libra), who has studied the history and technique of Sealbooks at the Royal Military Academy for years. Just after graduating, he and his longtime friends Alisia—who graduated as the first girl of the academy’s knights course—and Melvy—who graduated top of her class in the magic course, are ordered by Chief Librarian Irena Rosenmeier to investigate numerous dungeons that have shown increasing signs of monster activity. As you travel through the labyrinthine dungeons, you encounter monsters—if monsters were nothing but buxom, little-to-no-clothing beauties. Moving around the dungeons works similarly to the Krypt in Mortal Kombat—you move a step at a time and unveil the map as you go along. Throughout your expeditions, you collect weapons, gold and artifacts that can be sold or identified for later use at the Libra-Shop. In addition to this, you can buy useable items that can either heal, temporarily enhance, or get rid of ailing status effects. Apart from the Libra-Shop, Fried can enter the Seal Control Room to customize Sealbooks, granting himself and his party members passive enhancements on the battlefield. Go ahead and laugh, but around the tenth time you get schooled by a scantily-clad anime girl, you won’t be smiling. In terms of mechanics, Dungeon Travelers 2 makes a strong case for why the classic JRPG construct will never die. Rather than approaching your enemies, you stumble upon them—everywhere you turn is a potential encounter with the enemy. The battles and the story unfold like a comic book (or in this case, a manga). Enemies are displayed in the same way. They don’t show their attacks—they’re instead displayed as visual cues. After failing a few too many times, I soon realized that this game needed to be played like the JRPGs of old. I placed my Fighters, Spielers—the gamblers—and Scouts—the jack-of-all-trades—up front to deal the damage and absorb the hits. I then put my magic wielders and Maids—sneak-attack specialists—in the back to deal massive amounts of damage, should the need arise. Every class is upgradeable, but should you choose to do so, you will be forced to do a Class Change, resetting your skills and allowing you to re-distribute them into more powerful versions of their base class. By doing this, the difficulty ramps up significantly—so much so that, mere minutes after upgrading my suppression team to level 15, every battle became a struggle, demanding strategic thinking to advance through the accessible dungeons. This game presents a lot of reasons for any JRPG fan of old to invest their time into, but for me—having grown up a bit—there’s a glaring and problematic double-standard. The all-female cast make remarks in support of gender equality, only to follow it up by asking you to remove a “curse” from their rear-end, or by sneaking into your bed to “wake you up” in little-to-no clothing. These scenes and various others are made more uncomfortable when you have to go through numerous exchanges of dialogue before they disappear. If there’s one thing holding back Japanese publishers and developers from finding the stable foothold they had in the states years ago, it’s not their weird ideas nor how well the game play mechanics work—it’s their repressed sexualization of women. Why are these “monsters” different representations of various taboos? The entire romance aspect of this game is completely unnecessary and entirely over the top for the wrong reasons. Had Dungeon Travelers 2 been without the adult-romance aesthetic, I would have kept playing it, because the story, mechanics, and lore are far more interesting then trying to get through someone’s weird sexual fantasies.